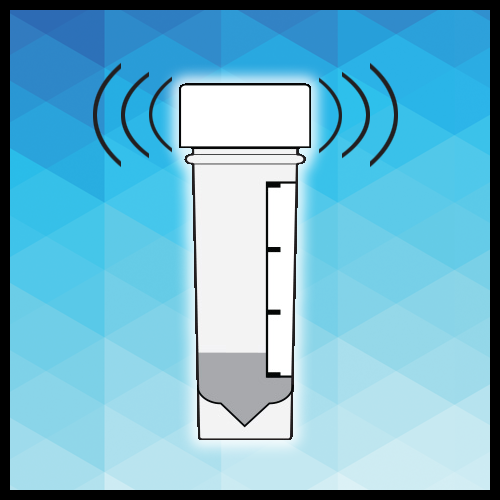 Reﬂux diagnosis typically entails expensive, invasive and time-consuming tests, such as 24/48 hour pH monitoring, pH Impedance, Barium Swallow, and Endoscopy. All expensive, invasive, time consuming and unpleasant for the patient. Peptest is an accurate, painless and inexpensive test that tells you conclusively if you have reﬂux. It measures the presence of a stomach enzyme called pepsin in a sample of your saliva. Pepsin, which originates from the Greek word for digestion, is the enzyme responsible for the digestion of protein. More specifically, pepsin is a protease originating from pepsinogen secreted into gastric juice from chief cells and is only found in the stomach. The stomach’s mucous-producing lining protects it from auto-digestion by pepsin. However, if pepsin refluxes into the oesophagus and beyond it can be very damaging as the tissue lining is more sensitive, especially the surface cells of the larynx and airways. Why is it important to detect pepsin? Clinical measurement of pepsin is important as it can give an objective assessment of the presence of reflux in a patient and help to make a diagnosis. Evidence shows that compared to acid alone pepsin is damaging to the oesophagus and laryngeal tissue. Peptest is available in many hospitals and clinics in the UK and around the world and can be bought via this website. Patients are asked to collect saliva samples in two to three small collection tubes. These are sent to a medical laboratory for analysis by medical experts using the latest scientific technology. Please clear your throat with a cough and spit the resultant saliva/ sputum into the collection tube provided. Please repeat this procedure until approximately 1ml of sample has been collected in the tube. 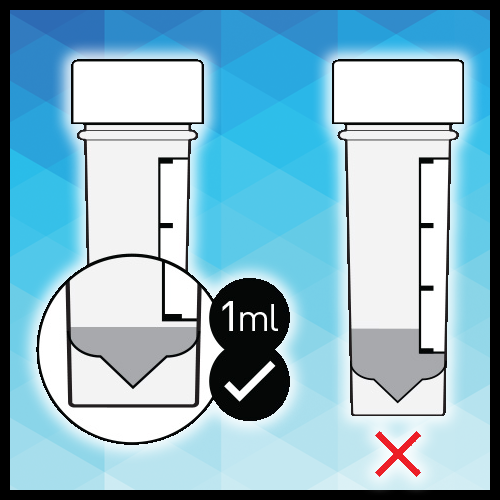 As a guideline the sample should be below the bottom of the white label on the collection tube. Replace the lid and shake the tube to mix the sample with the reagent in the collection tube. Sensitivity is defined as the proportion of people with disease who have a positive test result, ie a highly sensitive test helps rule out disease when the result is negative. Specificity is defined as the proportion of people without disease who have a negative test result, ie when a highly specific test is positive you can be nearly certain that you actually have the disease. 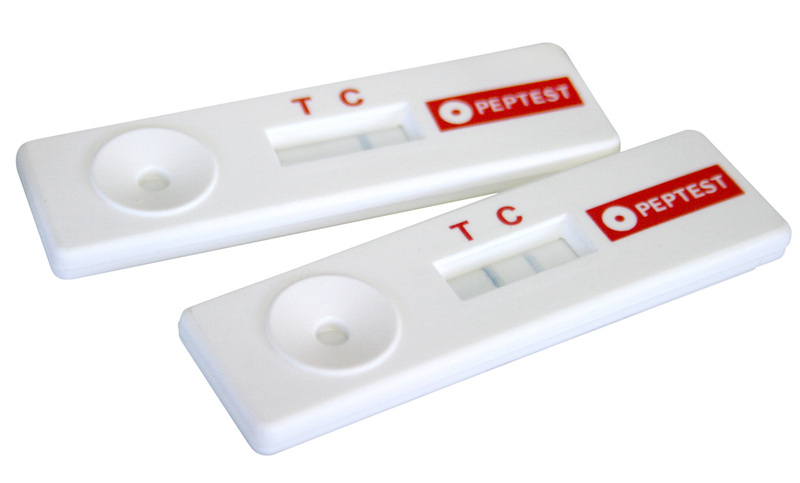 Peptest will measure the concentration of pepsin in your saliva to show the severity of reﬂux and give a benchmark to assess the success or failure of any treatment. The detection limit of 16ng/ml is the lowest amount of Pepsin that can be measured. Should I take the three sample Peptest or the two sample test? Studies have shown that taking two samples at the right time and according to the instructions is an extremely accurate diagnostic test. However, collecting three samples will give you a much richer set of results to share with your doctor and additional information on when you are likely to reflux. The additional sample in the three test Peptest diagnostic kit is used to determine if you are prone to refluxing in a supine position (ie lying down at night) which is useful information for healthcare professionals and can help determine how best to treat and manage your condition. What should I do once I get my diagnosis? 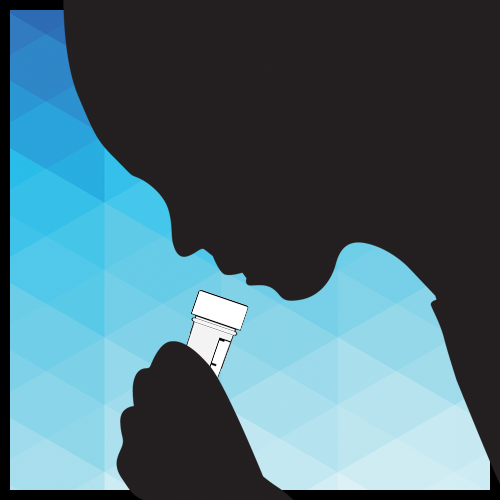 Once your saliva samples have been returned to the Peptest labs for analysis you will receive the results report within two days indicating whether each sample is positive or negative. If positive you will be given a reading of the concentration of pepsin in the sample. You should then discuss the next steps with your healthcare team. The exact treatment pathway you follow will depend on your symptoms, the results of your Peptest analysis and any other relevant information your healthcare team possess. Should I stop taking medication such as PPI therapy, antacids, Gaviscon or H2 receptor antagonists prior to taking samples? You do not have to stop PPI or H2 receptor antagonist therapy as Peptest will still detect pepsin in the presence of these if pepsin is being refluxed. Read advice on which medications will affect your Peptest results. Can I have LPR symptoms but not have reflux? A patient can present with laryngopharangeal reflux (LPR) symptoms which are not necessarily caused by reflux and this is the reason why a negative pepsin result can be as important as a positive pepsin result to help us identity the reasons why patients are experiencing symptoms at that time. If you have a positive pepsin result this indicates that reflux has occurred and the reflux should be treated appropriately. A negative pepsin result in a patient with LPR like symptoms is far more challenging. The symptoms may be due to i) a previous reflux event which has damaged the sensitive epithelium cell layer of the throat, vocal cords, airways ii) this damaged area has allowed bacteria to colonise which will cause inflammation and irritation and possibly needs to be treated with antibiotics on anti-inflammatory type medication iii) the symptoms might be the result of an allergy or food intolerance and this will need investigating iv) the damage to the delicate epithelial cell lining might have been caused by smoking or alcohol or by insulting the cell lining by drinking excessively hot or acidic drinks. One suggestion if symptoms persist and reflux has been ruled out by a negative Peptest result is for the patient to undergo a course of vocal/throat hygiene. A good ENT (Ears,Nose and Throat) specialist can advise here or even better get in touch with a Speech Language Therapist attached to the ENT clinic. 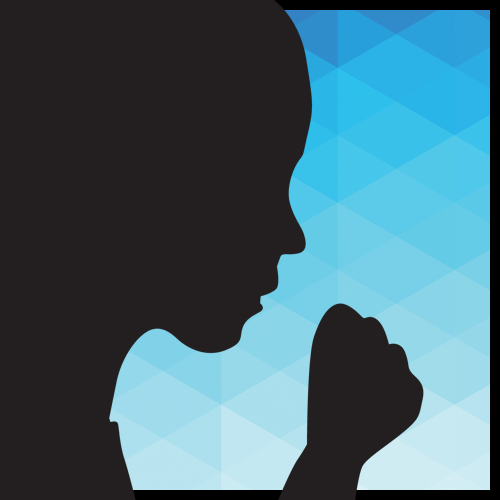 Read more on why LPR (silent reflux) symptoms may not be reflux. Should I stop drinking alkaline water before taking Peptest? Yes. Alkaline water (pH 8.8) has been demonstrated to denature pepsin in in-vitro studies. Although we know of no published data that exists to demonstrate whether or not alkaline water has any impact on reflux symptoms we recommend that alkaline water is avoided for 48 hours prior to taking the samples for Peptest. Find out more about alkaline water.